Born in Tokyo, Japan, but raised musically in New York, Yayoi Ikawa is a pianist/composer/ arranger currently living in Brooklyn, New York. Yayoi attended The New School University where she received the Henry and Gill Block scholarship. Being exposed to diverse music scene in New York, Yayoi started to work as a sideperson in Jazz, Gospel, Latin, R&B and hip hop groups since the early stage of her career. After completing her studies at New School, Yayoi was a faculty member at the International Jazz and Dance Academy in Slovenia along with her mentor Reggie Workman in 2003 and 2004. After recording a straight ahead jazz piano trio on Nippon Crown release “Angel Eyes” in 2004, she self produced “Color of Dreams” displaying her original compositions. 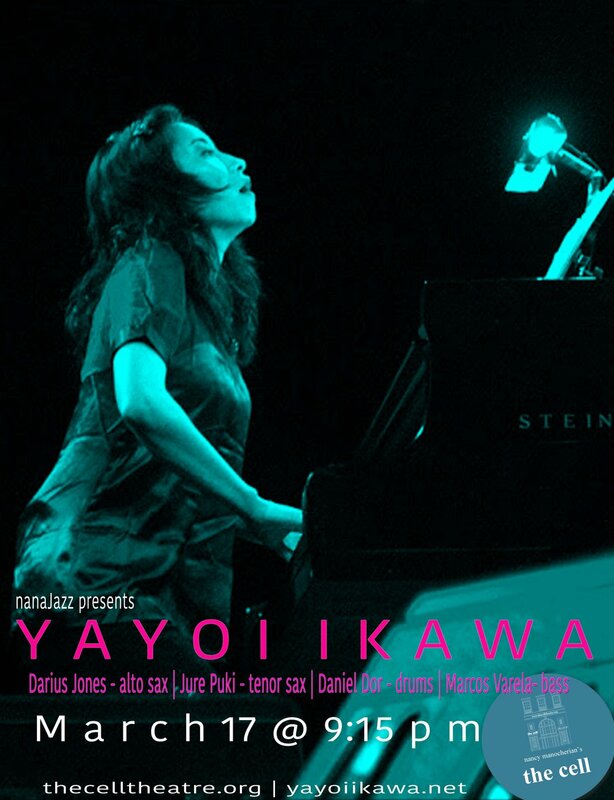 Yayoi has toured nationally as well as internationally with her groups, and appeared International Jazz festivals in Japan, Italy and Costa Rica. While working towards her master degree at NYU, Yayoi’s orchestra work for film was premiered at Lincoln Center in 2007. In 2008, Yayoi started “The Bridge Project” to create musical dialogue between New York and Tokyo musicians in an experimental environment.